It's almost all over for Oscar Pistorius, the South African Olympic runner who was found guilty of culpable homicide — the South Africa equivalent of manslaughter — of his girlfriend, Reeva Steenkamp. Pistorius awaits his sentencing for the Steenkamp shooting Monday, bringing to end a six-month-long courtroom saga fraught with emotionally charged testimonies, mental breakdowns and delays. 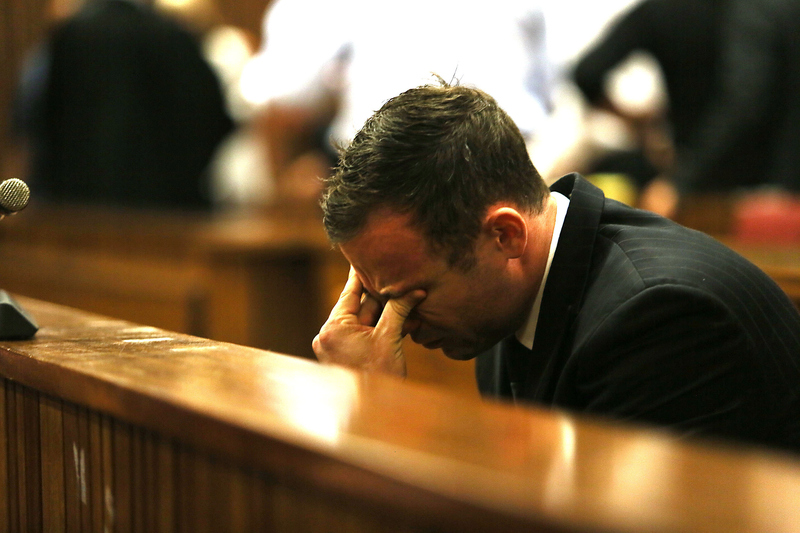 Now, Pistorius can expect a sentencing anywhere from a fine to 15 years in prison. The accused will benefit from correctional supervision ... [An] opportunity to restructure and modify his behavior. ... We are basically not saying that he should be destroyed because he will still be coming back into the community. According to reports from inside the courtroom, the announcement came as a shock to the prosecution. Prosecutor Gerrie Nel reportedly called the suggested sentence "shockingly inappropriate," while the family of Steenkamp watched silently in disbelief. I can confirm his remorse and pain to be genuine. We are left with a broken man who lost everything.